Our childminders in the babysitting service are available around the clock, 365 days a year ! You want to have a relaxing and stress-free holiday ? Then trust our professional babysitting team to take care of your loved ones. Our company provides top level babysitting and nanny services inside and outside the hotel according to your wishes. All our childminders have been well trained, are qualified babysitters and speak multiple languages. They have constant contact to the management. Peques Tenerife Babysitter provides a 24 hour service all year, every day! Ask for creative aktivities, walks, trips and excursions for your children. On request we take your kids to the beach or go shopping. Whatever is most convenient for you. That way parents can enjoy a relaxing holiday and even have enough time for a candlelight dinner. Maybe you just want to do an excursion or just relax your soul by watching the sunset. We lovingly take care of your children. Our company is insured by Allianz. Of course all our employees have a police clearance certificate. It is mandatory for our employees to take first aid and lifeguard courses. We also offer pedagogical care for autistic children. 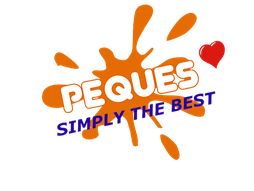 Peques is a company under German management. Our Babysitter Tenerife and child care services are provided in the best Hotels in Tenerife. For questions and individual information please do not hesitate to contact us.